I've always wanted to have a brightly colored front door. I think a bold front door really makes a statement for the whole house. Which color do you like best? 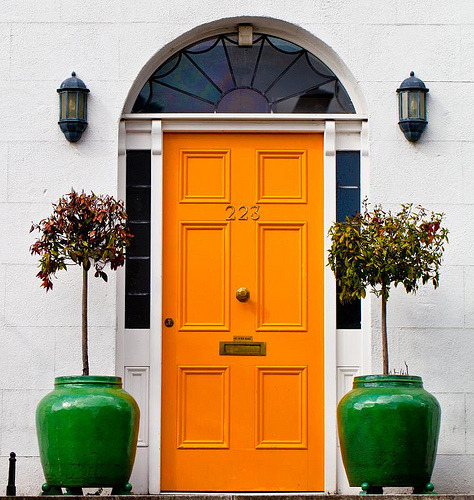 Love the yellow and green door! Added it to our Pinterest "Doors"...we kinda have a thing for them. 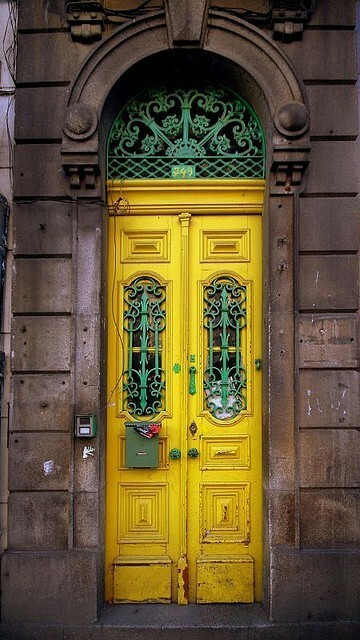 The yellow is probably my favorite... something about the antique door with the modern color is just beautiful. 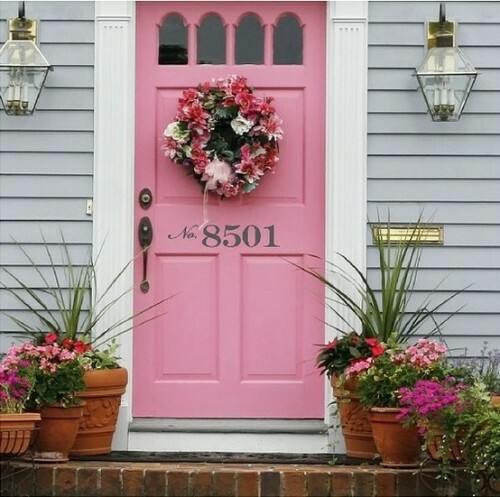 I also like the pink one just because I think it's cute someone actually did that color for their front door! i love the yellow one too! I am partial to red. My parents house (the house I grew up in) had bright red front doors! And all the services doors were painted the same bright red. 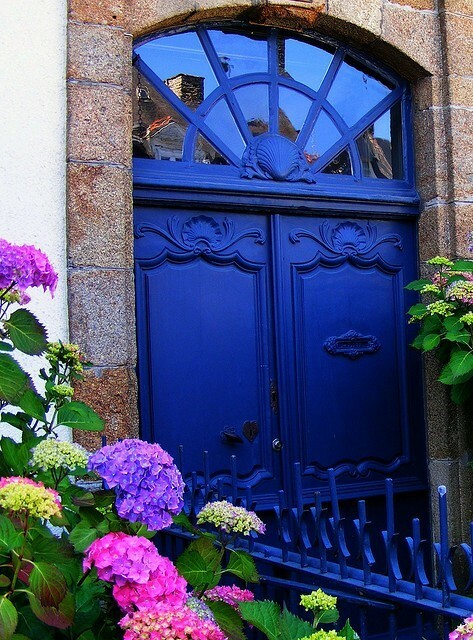 I am in love with a bright colored front door! I love the orange door a well though! Oh my ! I am having a hard time picking a favorite! I love those doors! They make me want a townhouse all to myself! Haha. I'm loving your blog! i just love the red one! So pretty and bold! Surprisingly, I like the yellow the best! What about you? 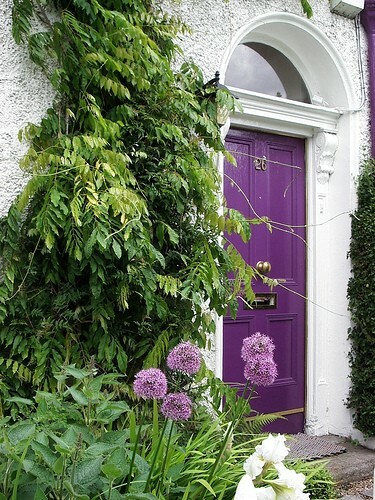 There is something really lovely, eye-catching and welcoming about a bold front door...love these! i always wanted a RED front door! But all of these are fabulous!! "no wait, I love that yellow and green!" "ah frick.... I can't make up my mind!" I totally agree!! I love red front doors, and I don't really even like red! Love the yellow and that beautiful bright blue! You really can't go wrong with an accent door. If you do it take pics! red, red, red. 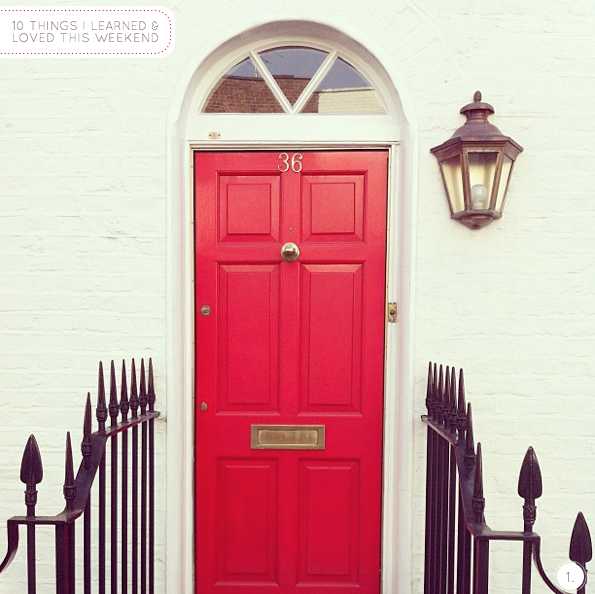 i grew up with a red front door and i swear i will have one again. I would do yellow, red, or forest green. There were a lot of red ones in the UK so it totally brings back good memories of our trip there. The purple door has my name all over it! That yellow one (I think it was #3) is awesome! I love all of the little details and it definitely makes a statement! Debating this very topic now and all of these look so aH-mazing! Must say I like the "pop" of the yellow. i have to say i love my red front door, but this purple one is beautiful!! what a cool blog post! Oooh I really like that blue one...and that green one definitely makes a statement! I've always loved red doors, but I think the purple one is my favorite here! So fun! LOVE the yellow and red!